The new American pivot door is causing a stir across the USA among designers and architects opening an entirely new range of possibilities for the modern pivot door in contrast to pivot doors designed by and enjoyed by our forefathers. The new pivot door making its way into the mainstream of contemporary architecture design is decidedly different from its predecessors in that this new generation of pivot door is Eco-friendly, lightweight, high strength, fully insulated, and can be guaranteed to remain warp-free for 50 years, regardless of size, resulting in the most sustainable pivot door in the industry. This empowers modern designers and contemporary architects to design a pivot door of enormous proportion, up to 50 feet, which would otherwise be highly problematic in terms of design, construction, shipping, transport, maneuvering on site, installation, with increased highly-skilled labor and heavy equipment costs. Pivot doors can be made lightweight by sacrificing the core of the pivot door altogether. In the past pivot door manufacturers would compromise the inside of the pivot door by leaving it hollow or by using a lightweight core alternative, such as paper core, carboard core, or some other type of honeycomb core. Such a lightweight pivot door is prone to fail. The latest innovation in pivot door technology incorporates a solid composite core which is based on a reinforced vertical grain torsion box core which is high precision (+/- .006 in.) and weighs a fraction of the weight of other solid pivot door core options. Strength in the architecture of a pivot door is of primary interest because it determines the usability and functionality of a pivot door’s performance over time. If a pivot door is not strong (which pivot door engineers usually equate a lightweight pivot door with weakness), it will be prone to failure due to warp, and may bend, cup, twist or otherwise fail over time. Patented Sing Core imbues a large pivot door with enormous strength (over 660 PSI) which is stronger than steel pound-for-pound. Only by using inventor Peter Sing’s patented vertical grain reinforced torsion box core is such a feat possible at such light weights. 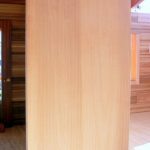 Insulation is of a concern amongst custom pivot door creators in terms of separation, security, and preservation of the space on either side of the door. Since the most effective use of a pivot door is as a main entrance door (especially if it is a large pivot door), insulation is a desirable component for keeping the interior space heated or cooled, and sound-deadening pivot doors can be very heavy indeed. If your pivot door has Sing Core inside, you have a fully insulated solid composite core which provides both sound-deadening and climate control capabilities. This is why increasingly you find Sing Core specified in both refrigeration and sound proof pivot door specifications. Among the problems associated with large, oversized pivot doors, is pivot door warp. In most high-end pivot door applications warp is a problem due to the mass of the material. 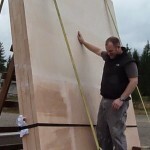 Most problematic are the challenges when building a pivot door of wood. 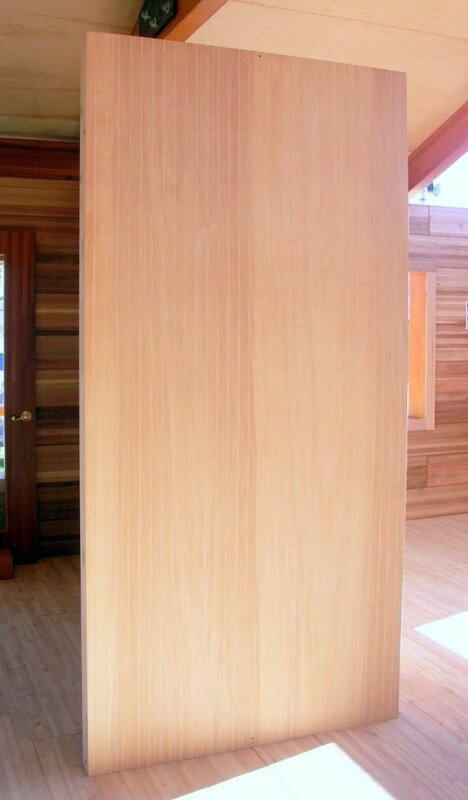 A wooden pivot door will be compromised and fail when the grain on one side of the door is exposed to differing environmental conditions on the other side of the door. Guarantee not to warp, ben, twist, or otherwise fail – including a full structure warranty – for 50 years. No other pivot door company can do it, unless the door has Sing Core inside. Sing’s patented pivot door core material is only available to the most highly reputable pivot door companies, millworks, and custom pivot door manufacturers around the world. Modern architecture and design include high-end pivot hung doors as an increasing feature in contemporary architecture designs. This growing trend among modern architects and designers has large pivot doors featured as the main entrance to the structure, especially those high-end exotic projects which demand an upscale approach to the design aspects of the project. 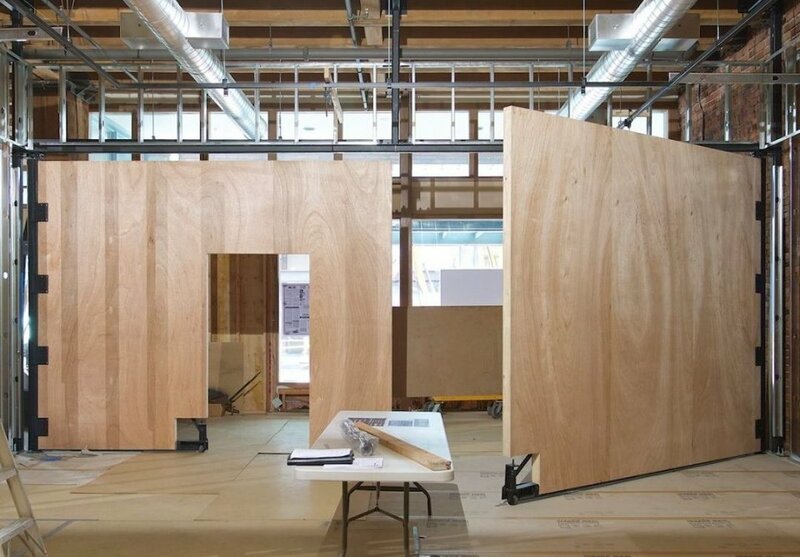 Large custom high-end pivot doors are designed and built to specs in order to provide a spectacular one of a kind attention-grabbing access point which will not soon be forgotten. This large pivot door concept is sweeping the nation creating or filling spectacular openings with unique large pivot doors hosting a wide spectrum of visually impactful building materials spanning from exotic to contemporary natural wood grains to metal pivot doors from aluminum to hot rolled steel. Trending modern pivot doors are not simply relegated to a center pivot point for affixing hardware. 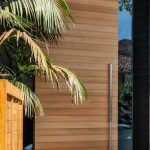 Creative approaches to incorporating pivoting doors into these leading-edge designs could have the pivot door hardware pivoting at nearly any location along the pivot door threshold. Once restricted to a center pivot point, you may now find the pivot point of these architecturally inspired pivot door designs anywhere from center to innovative extreme edge pivot door hardware for the impressive follow up to the larger than life initial impact. 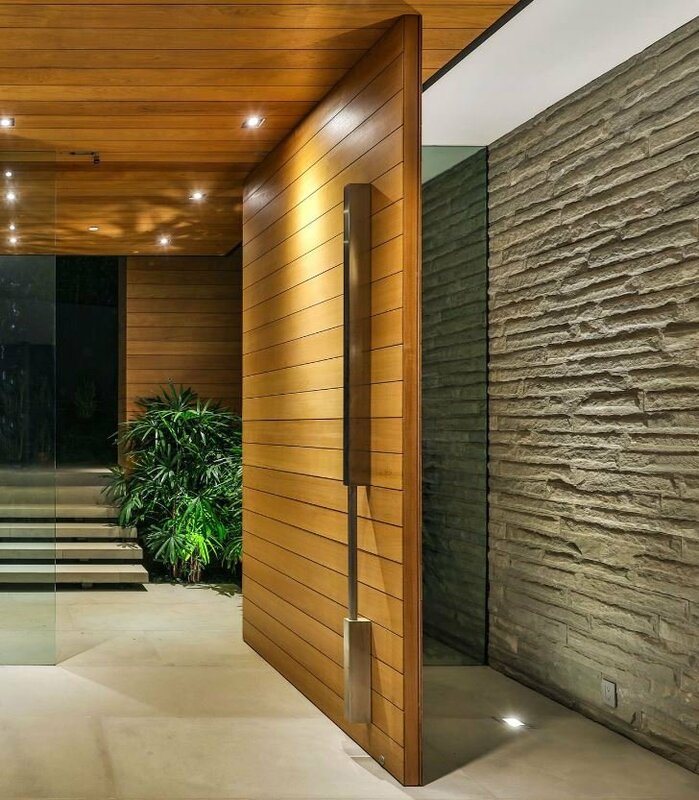 Even with the growing expansion of the pivot door hardware aren’t to accommodate the most prestigious projects (with a budget to match), there are specific challenges which concern the architects, engineers, and designers of these massive pivot entry doors. 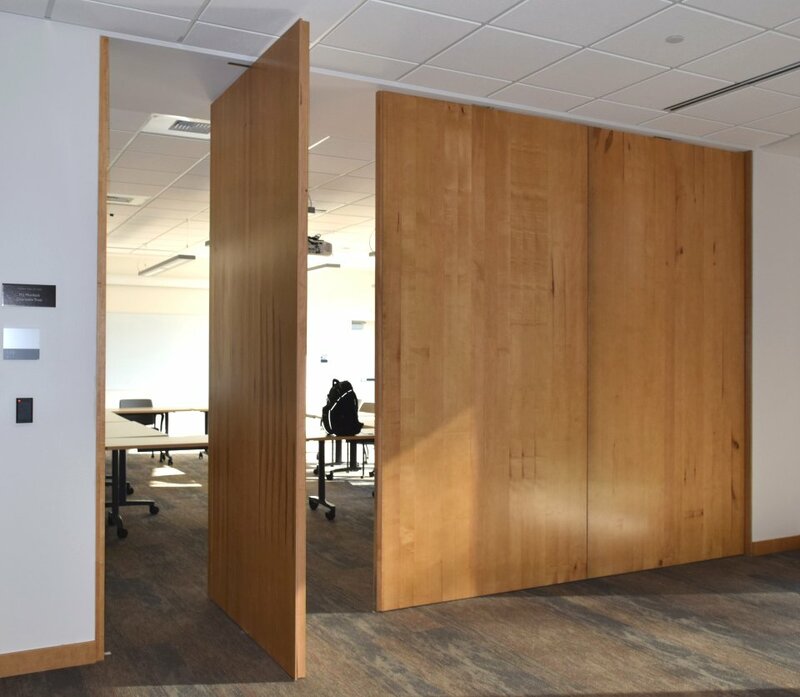 You can expect no two of these high-end pivot hung doors to look the same as each millwork or door company providing these massive pivot slab doors can be working with solid panels as base material or have any type of glass opening imaginable. So they may be completely solid or have glass. The trend can feature many varying lite cutouts or one large glass opening representing one-third or more of the pivoting door’s surface area, which would qualify it as being a French pivot door. 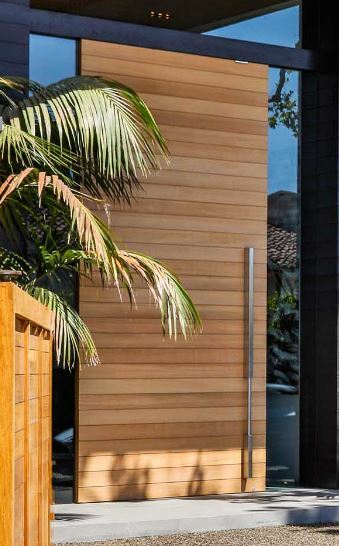 You will find these pivoting doors with glass not only at the structure’s main entrance but also as egress points between indoors and outdoors, like facing a back yard. Court, or garden area. Modern pivot doors are larger and heavier than traditional swing doors or sliding doors. 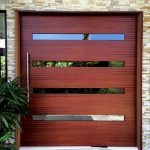 By virtue of the sheer size of the pivoting doors, which are often not only taller and wider than other types of doors, they are also usually a lot thicker than their contemporaries. 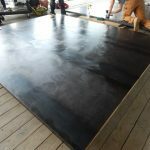 This makes for a very large and heavy piece of material that is more likely than not prone to structural failure or warping (especially if manufactured of wood, which has the highest potential to move due to changes in the environment over time). 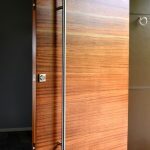 Modern wood pivot doors probably provide engineers with the most challenges because a huge piece of wood will move as this is the nature of a natural wood grain as it seeks to adapt to its environment, potentially rendering your pivoting work of art useless and unable to operate or secure properly. There has been a well-kept secret among the best high-end custom pivot door manufacturers for the last ten years, which has empowered them to deliver large pivot doors made of any available flat material which can be made to stay straight and flat, without the potential to warp or fail structurally over time. Without this Sing Core’s secret ingredient inside your large high-end pivot hung doors, there will be many service calls addressing the performance of your big pivot door amidst its service lifespan. Having Sing Core inside your large pivot door allows you to deliver and install an Eco-friendly insulated, lightweight pivot door which is stronger than steel pound-for-pound (660+ PSI) and can be guaranteed for fifty years. To prevent large pivot door warps, the most high-end architects, custom pivot door companies, and master millworks rely on high-precision Sing Core (+/- .006-in.) for the strength of character and core value to deliver high-performance results to their most demanding clientele. Pivot doors with Sing Core inside are the most prestigious high-end pivot hung doors in the world and sport the best guarantee of any large doors of any size (up to 50 ft., or more) which can come with a full 50-year warp-free guarantee. No other pivot door company in the world can make that claim. Plus, your Sing Core premium pivot door solution also comes with a warranty covering the structure of your pivot door, because even if your door remains straight and true, you don’t want the structure compromised. Sing Core is the only comprehensive full coverage approach to building pivot doors of immense size bar none. If you’re contemplating the design of a new structure or considering a major remodel of an existing structure, then you’re also looking for incorporating a new pivot door. The approach of featuring a pivot door in your project is one of the most significant features in contemporary architecture design today. To achieve maximum impact of adding a pivot door to your structure, size and location makes all the difference. Used as a pivot entry door your pivot door is the primary access point for visitors as it is the first thing they see and/or touch prior to entering your structure. To garner the most impact a large pivot front door increases curb appeal exponentially as the luring pivot front door garners attention of those approaching the structure from far away and draws them in. How large should your pivot door be as your primary access point? The answer is a resounding, “As large as possible,” because the general consensus is that the bigger the pivot door the better. It is not uncommon for pivoting front doors to take a floor to ceiling approach for maximum attention-grabbing power. Approaching large pivot doors is not for the faint of heart, and be prepared to allow a decent allowance for your pivot door in your budgeted expenses because large pivot doors can be costly. A pivot door can be finished in any available flat building material which limits the possibilities only by your imagination, so don’t hesitate to fully exercise your creativity and let your imagination overflow. Once you’ve decided on what material your pivot door will be made of, you will want to ponder how such a pivot door could be made. 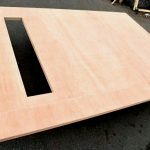 To make a large pivot door out of any solid material may be problematic because large pivot doors, especially if they are over 8 ft tall and 3.5 feet wide are going to be very heavy. 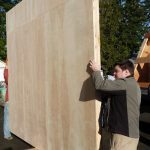 This extra weight can create problems for transporting, handling, and installing your pivot door throughout the process. Other considerations include strength-related threats to the pivot door’s precision and survivability. Will it delaminate, warp, bend, or twist? Can you get a large pivot door that can be guaranteed? In most, if not all, cases, your large pivot door will be excluded from the rest of the door schedule which is protected by manufacturer warranty, because large pivot doors are prone to failure, as soon as the next season or climate change. Sing Core works hand in hand with millworks and custom pivot door manufacturers to create the ultimate pivot door, and it does start with having Sing Core inside. Sing Core is the revolutionary pivot door core material which is based on inventor Peter Sing’s patented reinforced torsion box core which creates a solid composite structure which combined with Sing’s patent pending stiffener technology can create a Sing pivot door substrate which can compensate for any surface material that would otherwise be prone to warping or failure. 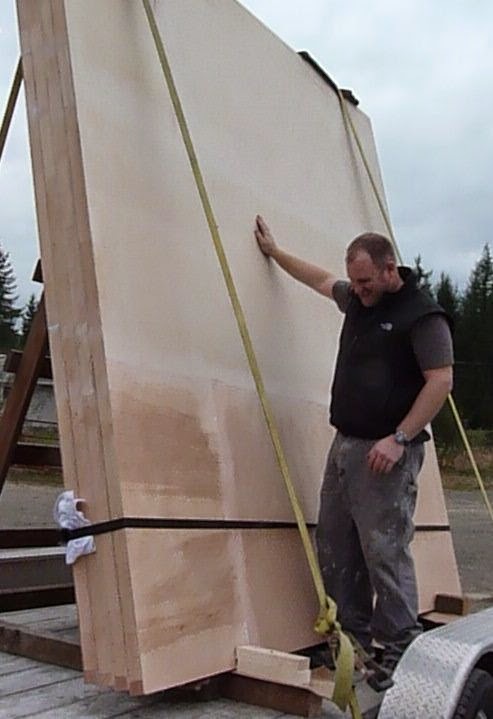 The resulting pivot door, a team effort or Sing’s True Flat Team and your favorite millwork or custom pivot door manufacture comprises a large pivot door which can be guaranteed not to warp, bend, twist, or otherwise fail for 50 years, including a full structure warranty. The reasons include the attributes of patented Sing Core that are transferred to the pivot door making the lightest weight pivot door (a fraction of other solid pivot door cores, that are also the strongest (independently University tested at 660+ PSI) insulated pivot doors every built. 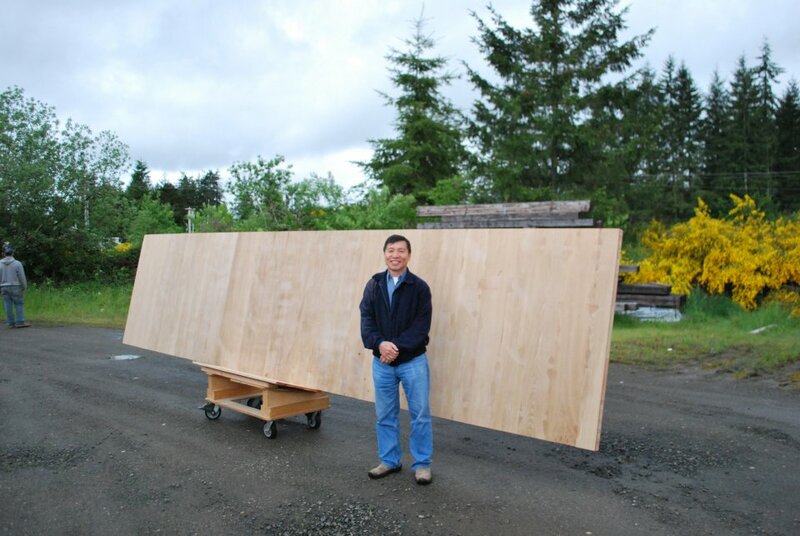 Thanks to inventor Peter Sing’s patented pivot door core material, any pivot door company can build a large pivot door that can be guaranteed to remain warp-free for 50 years. Pivot doors with patented Sing Core inside are the only pivot doors that can be covered by Sing’s 50-year warp-free guarantee. 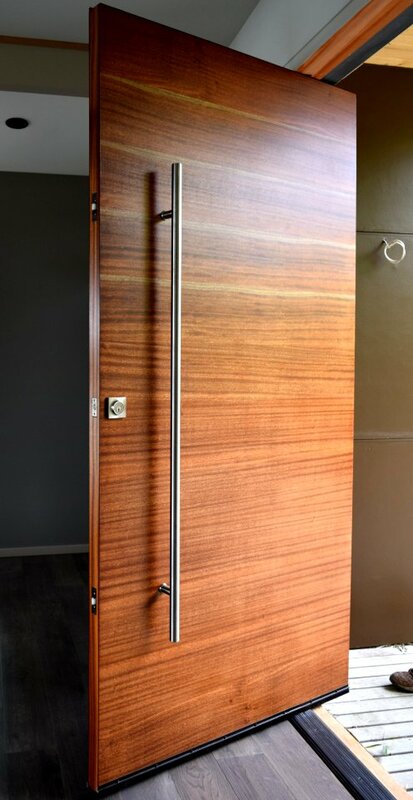 A modern pivoting pocket door presents certain challenges for architects and designers, such as being heavy in weight if it is a large pivot door which swivels and retracts or is stored in a pocket door cavity within a wall. The pivoting pocket door is basically a pivot sliding door which pivots and slides into the concealed pocket. 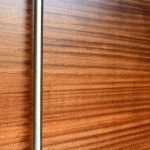 If slide and pivot doors have the slightest warp, bend, or twist they can become inoperable or might be lodged inside the pivoting pocket door’s recess. Having Sing Core inside ensures the pivoting pocket door will remain faithfully straight and true for the life of the door or 50 years, even though it was constructed to last for hundreds of years. A pivot front door is also an architectural challenge if it is large, and all the best pivot doors are large pivot doors because the larger they are, the more likely a pivot door is going to fail due to warping. If one side of your pivot entry door faces the structure’s interior space and the other side faces the exterior, exposed to the weather 100%, you’re going to experience a warped door. Wooden pivot doors present the most problems with warping due to the nature of the wood to move according to the varying climate conditions or change of seasons. 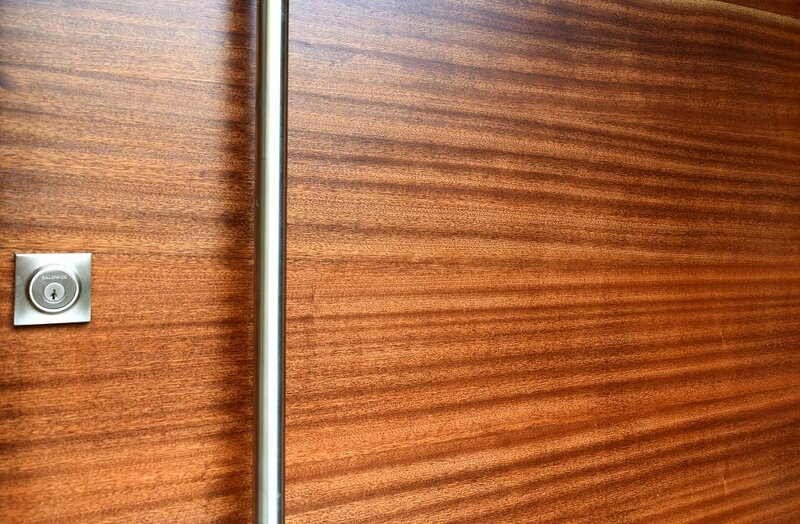 Seasonal warp is expected for wooden pivot doors of all kinds, whether they are exterior pivot doors or internal pivot doors. Patented Sing Core is the only way to build a wooden pivot door that doesn’t warp with all the elegance and charm of solid timber pivot doors but at a fraction of the weight saving you money in pivot door hardware and maintenance over time. 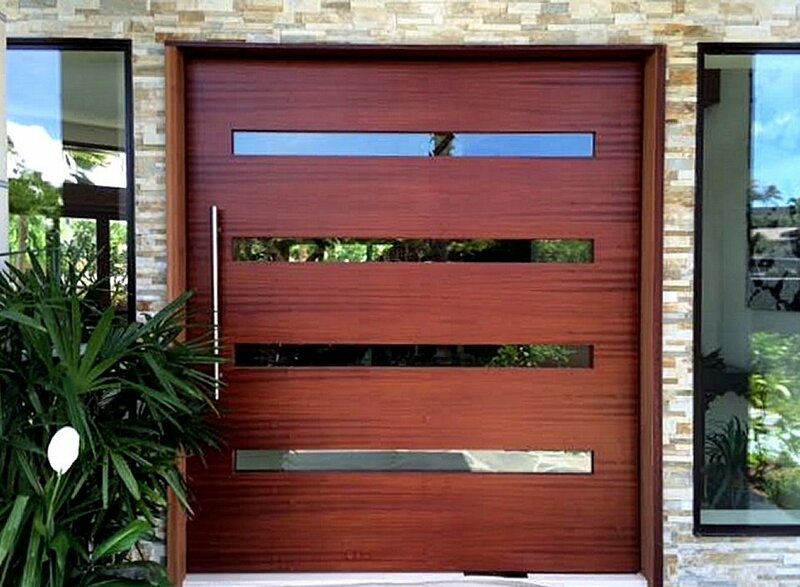 Thanks to Sing Core you can have a large pivot door made of any available natural wood material, which is even a ecologically sound use of exotic wood to create the most impressive exotic wood pivot doors, which is subject to availability, of course. Sing Core’s pivot doors prices will have you expecting to pay more than a traditional pivot door, though in the standard range of high end custom pivot doors. As our favorite architectural door designers know, when you client demands the best pivot door made, it must have Sing Core inside your pivot door. And while your custom pivot door might represent those among the higher pivot doors prices, you can be proud to have an economical pivot door investment which will pay you back in savings in maintenance, repair, and replacement costs because your Sing pivot door can be guaranteed for 50 years. Sing Core is known around the world for providing the best pivot door systems, but the truth is, we don’t actually make the world’s best pivot door systems. 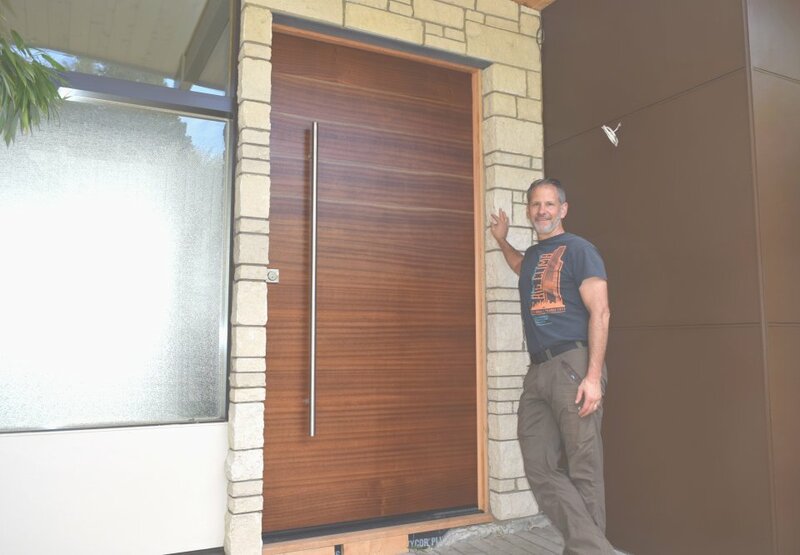 Who actually makes our doors the best pivot doors in the world, is the pivot door company, custom pivot door manufacturer, and millwork who makes our patented pivot door core material look so good after they’ve finished and installed these magnificent masterpieces. If you really want a pivot door with Sing Core inside, all you have to do is to contact your local custom pivot door manufacturer, millwork, or wherever you find pivot front doors for sale and make sure you tell them you want Sing Core inside your pivot door. Sing Core helps to support your favorite millwork or pivot door company to create the best pivot door systems available in the world today. Your large architectural pivot door is likely one of the most striking and important features leaving a lasting impression on visitors. 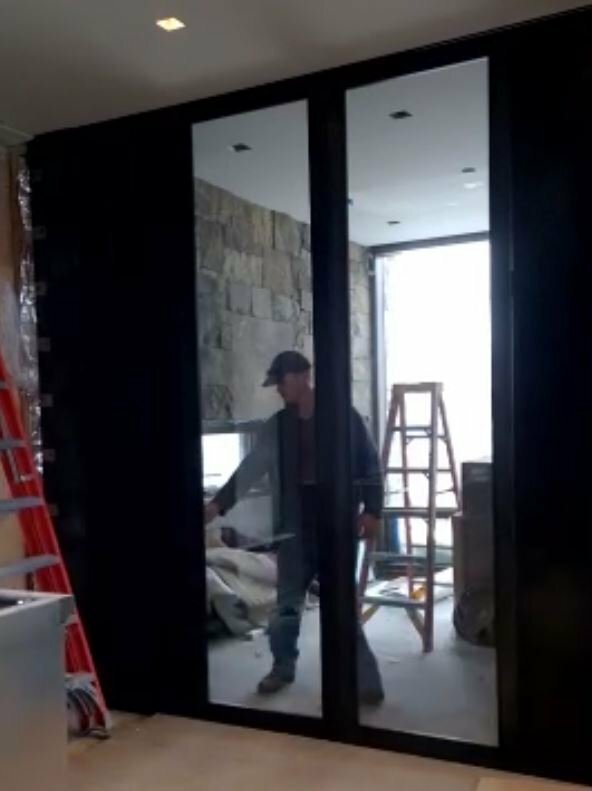 As we all know, as impressive as it is, your pivot door is going to present challenges if it is a pivot hinge door over 7 ft. tall. 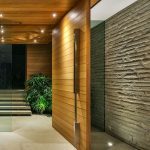 There are factors facing architects and designers who desire to incorporate such a feature into a breathtaking structure. The bigger the pivot door, the more challenges face designers, builders, and installers of large pivot doors. The size of your pivot door creates a challenge in the mere handling of the door. 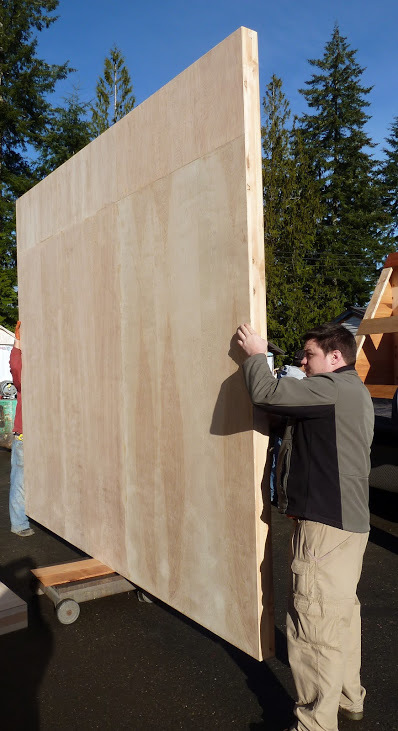 If your architectural pivot door is significantly large (of course, the larger it is, the more impressive it is) the size of it makes it difficult to transport between various stages of the pivot door build, from base manufacture, to millwork, to job site and installation. Each of these phases requires handling of the door, which can take many people and may include the use of heavy equipment for maneuvering the large pivot door. Sing Core teams up with only the best millworks, custom door manufacturers and pivot door companies to provide the best Eco-friendly warp-free pivot door systems in the world, and each custom pivot door is proudly made in the USA. Even if your pivot door system requires a very large pivoting door, such as 40 ft. tall, Sing Core has the solution for any pivot door sizes. 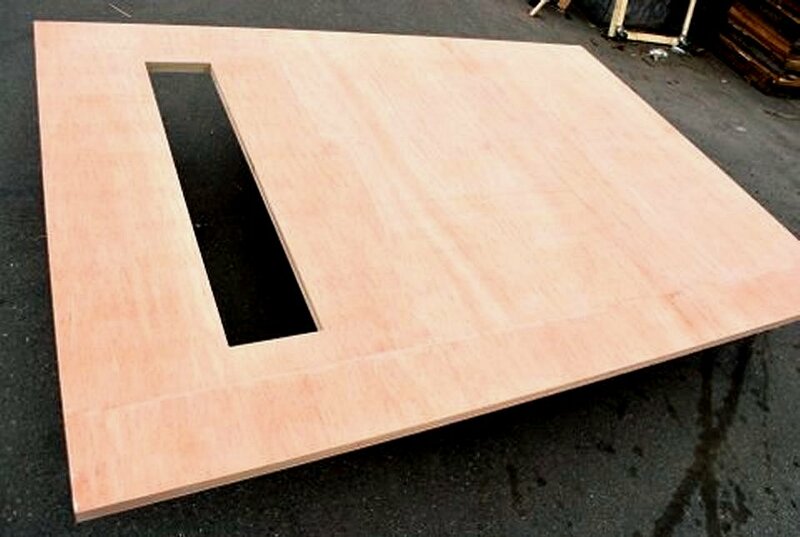 Big pivot doors means you’re dealing with a big pivot door slab of material which is extremely heavy in weight. 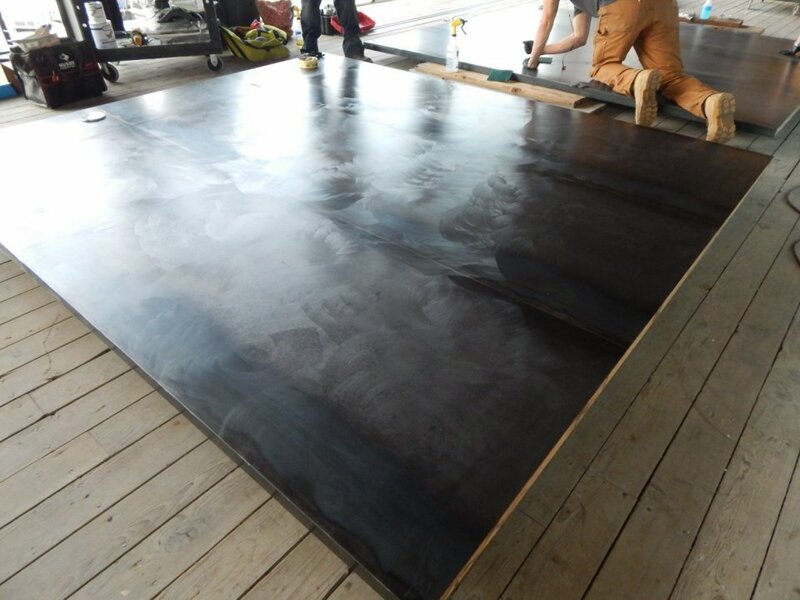 These heavy pivot doors are tough to handle by hand, requiring heavy equipment to move them around through the various stages of creation and throughout the installation process. Pivot Doors with Sing Core inside weigh a fraction the weight of other solid core pivoting doors. Significantly lighter weight pivot doors, even metal pivot doors, translates to huge cost savings in terms of manufacturing, transportation and long term maintenance costs over time. The warp-free nature of guaranteed professional Sing pivot doors greatly reduces pivot door maintenance costs, making your pivot doors systems more cost-efficient and sustainable. 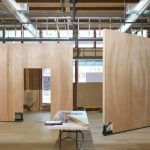 Also note the weight of the large pivot door determines the pivot door hardware that will be utilized in the pivot door systems. Heavy pivot door means heavy duty pivot door hardware. The heavier the door, the more expensive the heavy duty pivot door hardware, which can come with an enormous price tag that can exceed the cost of the pivot door itself. In heavy pivot door systems, the hardware can easily be the most expensive portion of the entire system. Since the weight of your large pivot door determines the gauge of the pivot door hardware incorporated in pivot doors systems, reducing the weight significantly results in being able to utilize low cost hardware, greatly reducing the overall cost of the pivot door system, thanks to having Sing Core inside your pivot door(s). Large pivot doors do impose heavy maintenance costs over time if they are used very much, due to stress of the heavy pivot door on the hardware, structure and further compromising the pivot door seal because of the pivot door material’s tendency to move. This translates to regular maintenance being required to maintain, repair or replace the supporting structure, frame, hardware and pivot door as necessary to achieve adequate performance expectations. By having your custom pivot doors built with Sing Core inside, you can have nearly maintenance-free enjoyment of your exterior pivot door for 50 years. Of course, you will still need normal routine maintenance of the door’s finish, but you can rest assured that you can avoid having the service life of your pivot door interrupted by experiencing undue stress to hardware, structure or suffering the disappointment of a warping pivot door. Exterior pivot doors are more problematic than interior doors for their tendency to warp by having to separate two different spaces which could (and more often than not do) have quite different environments on either side of the door. This is the main cause of warping pivot doors, which can compromise the seal of the exterior pivot door and add stress to the existing structure and hardware. Sing Core provides the only known solution for warp-free pivot doors of any size. 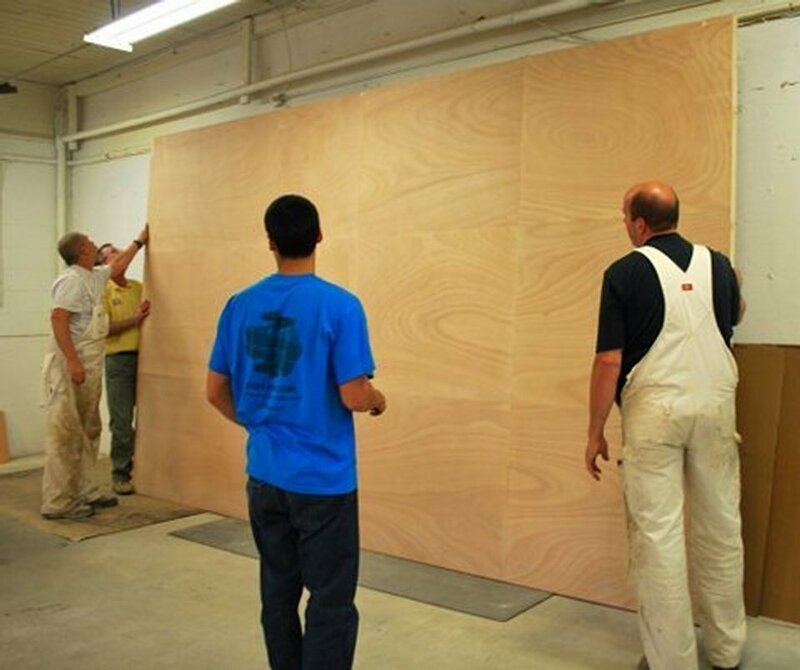 The warp-free true flat engineers and technicians at Sing Core help to design and build your custom door in concert with architectural specification to produce a professional large pivot door which can be guaranteed to offer non-warping performance for 50 years. No other Eco-friendly, lightweight, high strength door can have such a guarantee, unless it has patented Sing Core inside. Replacement pivot doors, either at the outset (in the design phase) or as the pivot door begin to fail, is the unfortunate story that faces many exterior pivot door owners and/or users and purveyors of various pivot doors systems. Some care is taken in the replacement of pivot doors to find a pivot door solution which is less likely to fail, or provide some degree of reduction in ongoing pivot door maintenance. The answer is not found in any millwork, pivot door company, or pivot door hardware company. The answer to the problems and challenges is found inside the door. 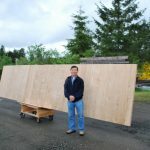 Doors made with “Sing Core inside,” are lightweight, high strength, high precision, and can be guaranteed to warp, bend, twist or otherwise fail for 50 years. Pivot door systems featuring pivot entry doors with Sing Core inside are the number one replacement pivot doors, especially in large pivot front door applications. Sing Core has been supplying the only warp-free pivot door substrates that allows the best pivot door companies to offer their high end clients an exterior pivot front door of any size that can be included in their standard warranty work (most high end millworks offer a warranty on their work for one year or more, with the exception of large pivot doors over 7 ft. tall which tend to fail at the first sing of climate change) because if your pivot hinge door has patented “Sing Core inside,” it is covered by our 50 year warp-free guarantee. 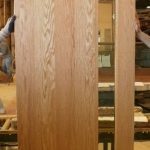 This enables the millwork, pivot door company, custom pivot door manufacturer and their clients, all to breathe easier, without having to worry about large pivot door pivot hinge challenges. Due to the characteristics of the Sing Core inside the best pivot doors, your pivot door can feature a pivot hinge of any type or style which may be problematic when attempting to accommodate a large pivot door without Sing Core inside. Attributes of pivot hinge doors with Sing Core inside include lightweight (a fraction the weight of other solid core pivot doors), high strength (660 PSI, stronger than steel pound for pound), high precision (+/- .006 in. 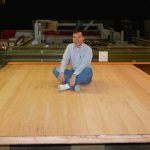 tolerance), high performance (long life without fail) and Eco-friendly (made in the USA with formaldehyde free adhesives, very little energy consumption or waste, with the sustainable use of natural resources). Large pivot doors made with the absence of Sing Core are likely to fail. This is why they are normally noted on the contract and excluded from the other items on the job covered by the contractor’s warranty. 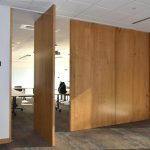 The lighter weight of the pivot door opens more opportunities for creatively applying various pivot door hinges which make the resulting pivot door even more impressive or adding a commercial door pivot hinge. The offset pivot hinge is gaining popularity among pivot door manufacturers and by utilizing Sing Core inside your pivot door, you can save substantially due to the lighter weight of your pivot door as pivot door hinges are determined by the weight of your pivoting door. Heavy pivot doors require a heavy duty pivot hinge, while your Sing pivot door can use a lighter weight pivot hinge. Heavy duty pivot hinges are expensive and can be many times the cost of your pivot front door. That’s another reason why building your pivot hinge door with Sing Core makes so much more sense. Pivot door hardware companies, such as rixson pivot door hardware are available in many styles including top hung, offset pivot door sets as well as the more conventional center hung pivot hinge. Pivot entry doors can come in a wide variety of types and styles and can be made to outperform any other type of pivoting door including aluminium pivot doors, any available type of natural wooden pivot doors or even a stainless steel pivot door. Your pivot hinge door could be made from any available flat building material, including woods or metals. 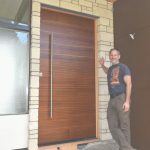 If you’re tired of dealing with the constant maintenance issues with dealing with large pivot hinge doors over time, then maybe starting off at the right place would be your most advantageous move by specifying your door has, “Sing Core inside.” If it’s too late, and you’re already struggling with problematic pivot hinge doors, no problem. Sing Core pivot doors are the most in demand replacement doors in the United States and increasingly throughout the world, as Sing Core products are routinely exported worldwide.